In the last two weeks, two reports were released giving a strong reminder that we really can’t rely on the national news stories to tell our local real estate story. NAR’s report was released last week revealing existing-home sales declined slightly in February, noting specific emphasis on softer sales in the West. Sales, according to the report, slipped 0.6 percent nationally, though they were seven percent higher than a year ago. 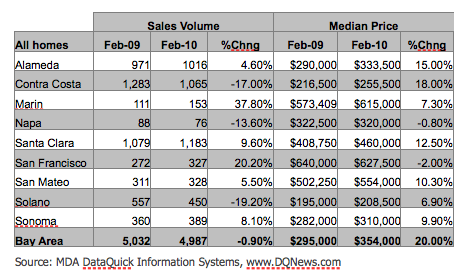 Within a few days, DataQuick’s local Bay Area figures were released. The report noted that total Bay Area unit sales had slipped (less than 1%) in February, however the largest county drop was in Solano, (not one of our markets) and the largest gains in units were in Marin at 38% and San Francisco at 20%. Another interesting note was that median price had risen drastically and for the fifth consecutive month locally. This is something you simply couldn’t derive from a national trend story. As you can see, Contra Costa County saw an 18% increase in its median home price year over year with Alameda coming in a close second at 15%. Overall, the report shows Bay Area with a 20% year-over-year increase in median home prices, which is very interesting considering not one of the 9 Bay Area counties showed an individual gain higher 18% and most were considerably lower. It’s no surprise of course that the markets that saw the biggest gains in price also saw some of the biggest losses over the last several years. And it’s fairly obvious to see that counties with big gains in price are also generally down in units due to lack of inventory. What is promising about DataQuick’s report is that it indicates the overall Bay Area is likely heading in the right direction. Our markets are seeing some of the nation’s biggest gains and we seem to be making some great strides from month to month. In most branch offices, multiple offers are becoming common again. We have to temper this optimism with the fact that unemployment figures (though improved) are still staggering, and there are no guarantees we won’t see further downward dips in the economy as we continue a conservative recovery. I want to point out one interesting story of importance that was announced last week regarding the new California home buyer tax credit. As we all know, the Federal first time-home buyer and existing homeowner tax credit is set to expire on April 30. To further support our local economy’s recovery, Governor Schwarzenegger signed AB183, providing $200 million for home buyer tax credits. Most people agree that when real estate sales are brisk, more jobs are created, and ancillary businesses are positively affected. The new California tax credit available to qualified buyers is equal to the lesser of five percent of the purchase price or $10,000, taken in equal installments over three consecutive years. The funds for these state tax credits are limited, but some California first-time buyers, and some new home buyers who aren’t necessarily first-timers, will capitalize on some great opportunities, especially when you factor in current interest rates. 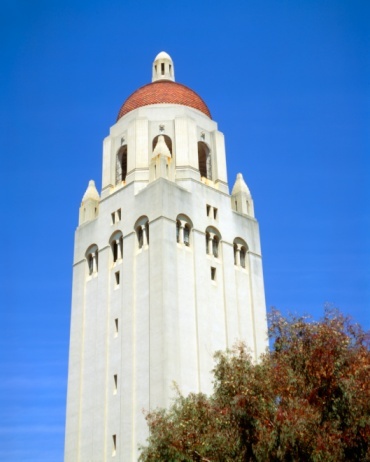 East Bay – Berkeley reports more listings are beginning to arrive, still many multiple offers. Castro Valley reports we are very busy. We are seeing more listing activity although we are still low on inventory. We are still seeing lots of short sales listings but we are getting a fair amount of traditional listings as well. We continue to see multiples due to the inventory crunch, but less than before. Danville reports our market is heating up. Buyers and sellers are more realistic and seem more motivated. One well-priced listing in Blackhawk had about 80 groups attend the open house: It’s still about value! Fremont reports increased sales activity which may be a reflection of the expiration of the tax credit and there is a sharp increase in the listings which may be reflective of the economy. Livermore reports the number of active listings and total pending sales in Livermore has remained stable the past two weeks. In Pleasanton the number of active listings and pending sales both increased by 8%. In Dublin active listings increased 10% and total pending sales increased 6% over the past two weeks. In our office, we are seeing more listings and sales above $700,000 than we have seen in a long time. From Orinda: Activity has increased on inventory right around the million dollar range, and multiple offers seem to be the norm on these homes. Oakland reports 60% of our listings are regular business. The foreclosure listing numbers in our office have diminished to 10% of the total. We are bringing on lots of listings. Walnut Creek buyers are actively looking and cautiously making offers. While we are seeing more multiple offers, they’re on properties that are listed below the market value. Monterey Bay Region – Real estate activity continues to be humming along here on the Monterey Peninsula, so that agents are very busy showing property, writing offers, negotiating and closing escrows! Yes, the challenges continue, especially with the Short Sales; however, some lenders seem to be getting more organized in the handling of Short Sales so that we are seeing some done more quickly than in the past. Inventory is getting tighter in the REO areas and we are even seeing increased sales in the upper price ranges. North Bay – Greenbrae reports the spring selling season is in high gear with the $1 – 2 million market showing some signs of life. Greenbrae and Corte Madera continue to be hot markets in addition to San Rafael and Novato. Southern Marin notes that Tiburon, which has had a few sales in the early part of the year is also coming back a bit as is Sausalito. Increased activity is reported by Santa Rosa in the lower price points with many buyers and few properties. The $400K to $750K feels like a dead zone with little activity. Above $750K the market is coming alive just a bit. Sebastopol reported open houses continue to be well attended. Homes between $500-900K are starting to get more attention and sales. Some very nice properties are available in this range. Multiple units are also selling quickly. We put a tri-plex and a four-plex in escrow within days of listing. Even a vacant five acres sold this week! Peninsula – Burlingame reported lots of buyers competing for too few quality properties. Multiple offers are common in all price ranges. We are seeing more listings coming on the market with the beginning of spring. Entry level buyers are out in force. Half Moon Bay reported active open houses on the coast side the past couple of weeks – seeing ratified offers mainly from relocation buyers. It is still all about the price point of the listing. Menlo Park Santa Cruz Avenue reported several multiple offer presentations. We got a few of the deals, but not all. Inventory is still our biggest challenge. New listings that are well priced are attracting a lot of buyer interest. Menlo Park-El Camino says the upper end is getting some legs. They saw some real action on 4 properties, all above 10 million. The Redwood City-San Carlos market in our area seems to be coming very active; of the 19 ratified offers, 10 were multiple ranging from 6 offers to 2 offers. The price ranges were from $699,950 to $1,199,000. Open houses were very well attended. Palo Alto says there is high buyer demand for properties under $3M, and with their low inventory, multiple offers can be expected. San Mateo reported all areas are moving if the prices are correct. Open houses are well attended. Active inventory down 18%, pending up 54% and solds up 134%! San Francisco – The Lakeside office reported the market seems to be a little quiet this week. Multiple offers are still prevalent, producing offers over asking price. Inventory is increasing, but at a snail’s pace. The Market Street office reported there has been a bit of a slowdown that is attributable to clients (both buyers and sellers) being out of town during this spring break period. Open house activity was all over the board with attendance. One Agent noted that while properties in the $1.1M to $1.5M range in Noe Valley were selling briskly a couple of weeks ago, that price range appears to have slowed. The Noriega office reported we are just outright busy. Business is good, but not easy. Appraisals continued to be a problem. Van Ness notes that over 1/3 of their sales were in multiple offers the past two weeks, with activity in all price points. Santa Cruz County – Inventory levels remain low. We are expecting to see more homes coming on the market April/May. Open house activity has been good. Buyers continue to be finicky with many writing multiple offers on properties before settling on one. The home shopping process for some buyers is definitely putting the Agents through the paces – and there is stiff competition on the under $600k price point, with multiple offers. The demand exceeds the supply although many buyers are looking for the perfect house and taking their time. Short sales continue to be a large part of the market and we are receiving a few new REO listings – and that segment has really slowed. Silicon Valley – Los Altos reports the market is improving and buyer confidences seems stronger. In the high end, things are picking up between $2M and $3M, plus a sale over $4M, and 2 over $5M. Los Gatos reports the high end is showing signs of life. Not sure of the duration, but definitely a spike in activity. San Jose Almaden reports Almaden has dropped to the second slowest selling market in our region. Only behind Los Gatos with 33% of its inventory pending. Blossom Valley remains at 68% pending and Cambrian is above 50% pending. Reason for the slowdown in Almaden is an increase of inventory as the market was hot for the first three months of the year with motivated sellers. New sellers coming to the market are attempting to raise prices and buyers are not willing. Those still priced at or near the last comparables sell quickly. San Jose Main reports activity is brisk and open houses seem to generate leads. Most homes below the $700k price are still receiving multiple offers. San Jose Willow Glen reports the market is extremely busy with a large increase of listings in which some of them are selling within two weeks after going on the market. Buyers are still in competition with each other. South County – Gilroy reports the market has not experienced its traditional increase in sales activity as normal. Much has to do with the large number of short sale listings and the decrease in bank owned properties compared to the previous two years. Agents are experiencing appraisal issues on most properties that enter into escrow. 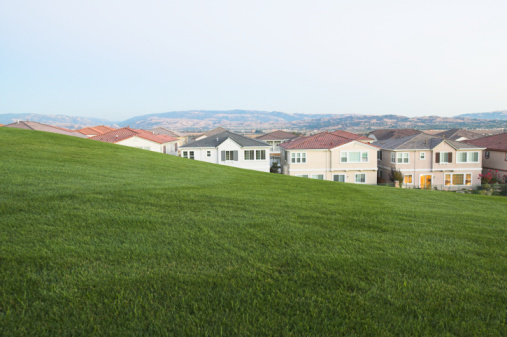 Morgan Hill reports the Spring of 2010 brings renewed optimism and hope for the local housing market. In the South Bay, as in most areas, there continues to be a shortage of listings. Homes that are well priced garner multiple offers with only one victorious buyer. So it would seem the last two weeks have shown brisk sales activity in all price points. 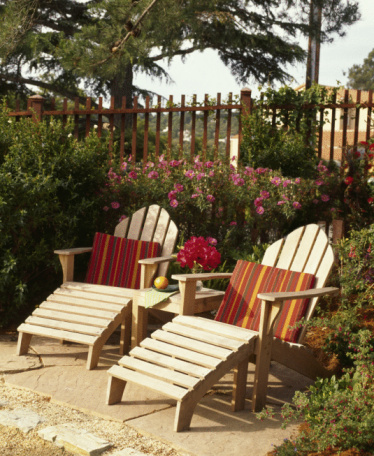 We’ll see how the end of spring break and this holiday weekend prepares us for April home sales. It certainly seems we would benefit from additional well-priced listings coming to market.